an incredibly authentic Kasabian live experience. They have played to a 40,000 strong crowd at Liverpool’s Mathew Street Festival. live footage of a Kazabian show aired on NME TV. 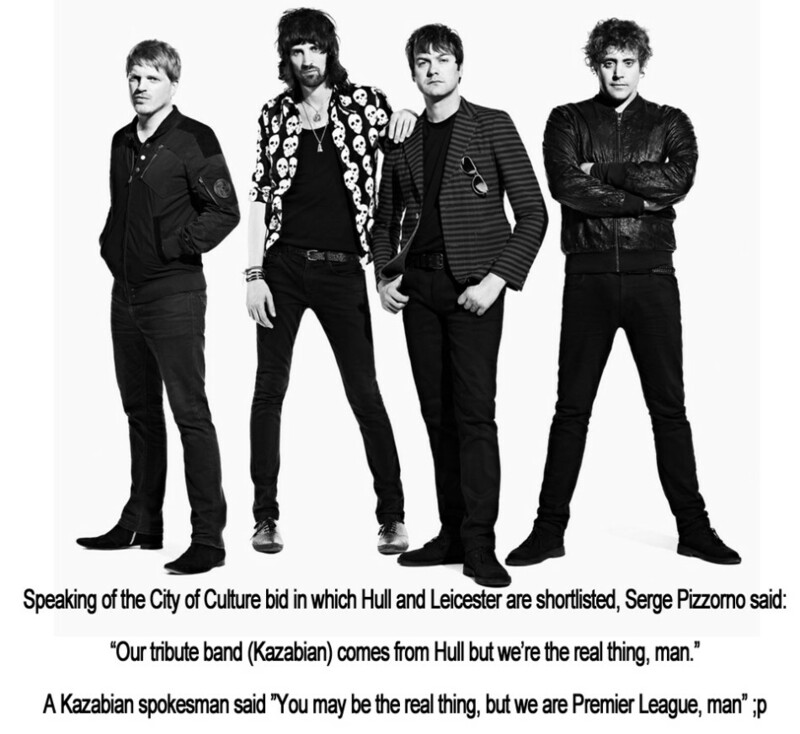 Kasabian want to use their tribute band in one of their shows. The ‘Fire’ hitmakers are very impressed by Kazabian and would love to work with them in future. Frontman Tom Meighan said: “I’ve been keeping tabs on them for ages. They’re f***ing frightening, they’re so good.